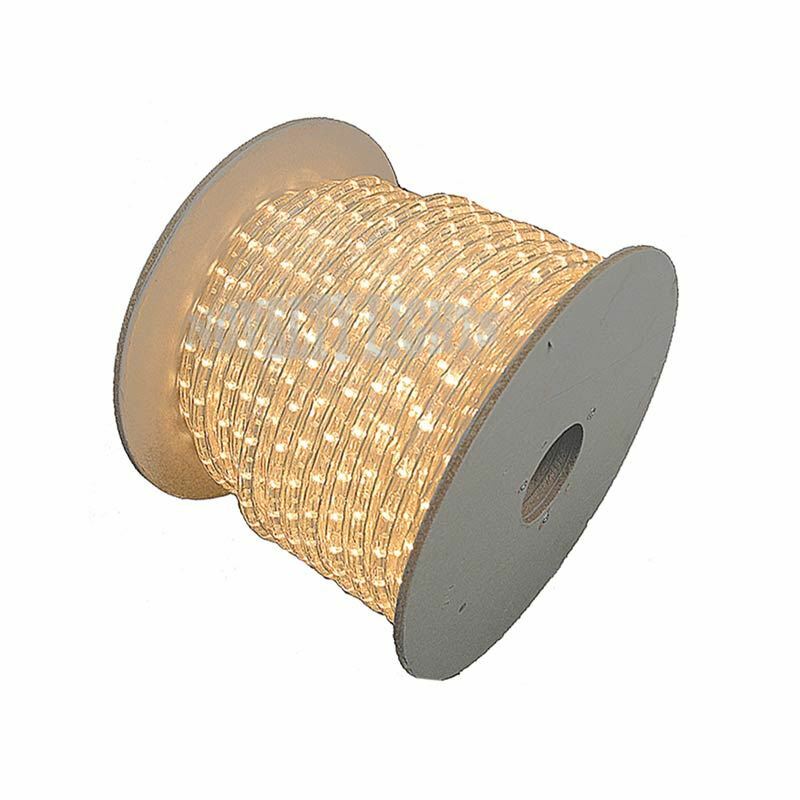 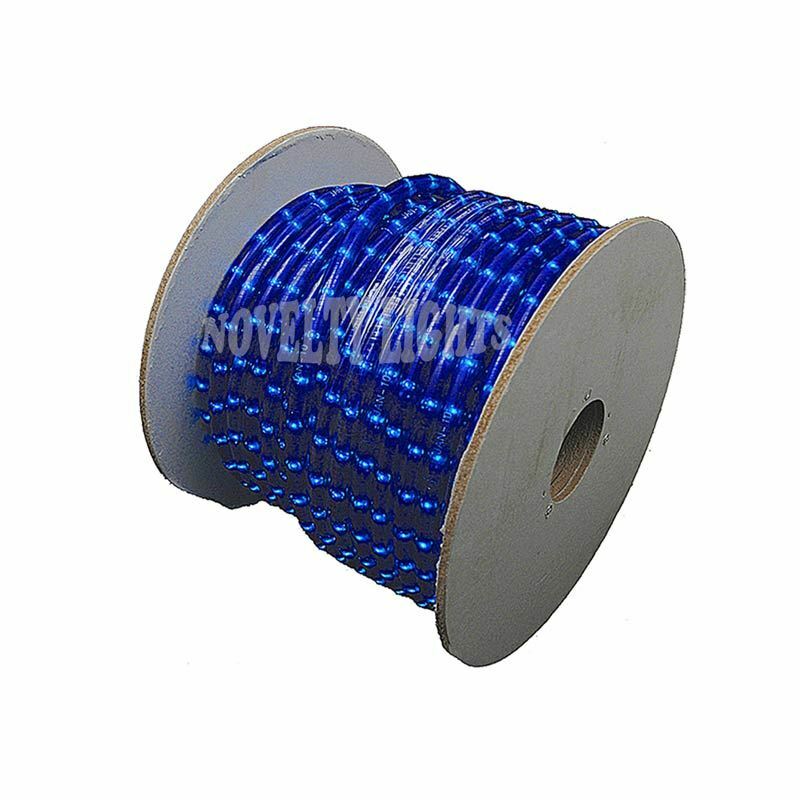 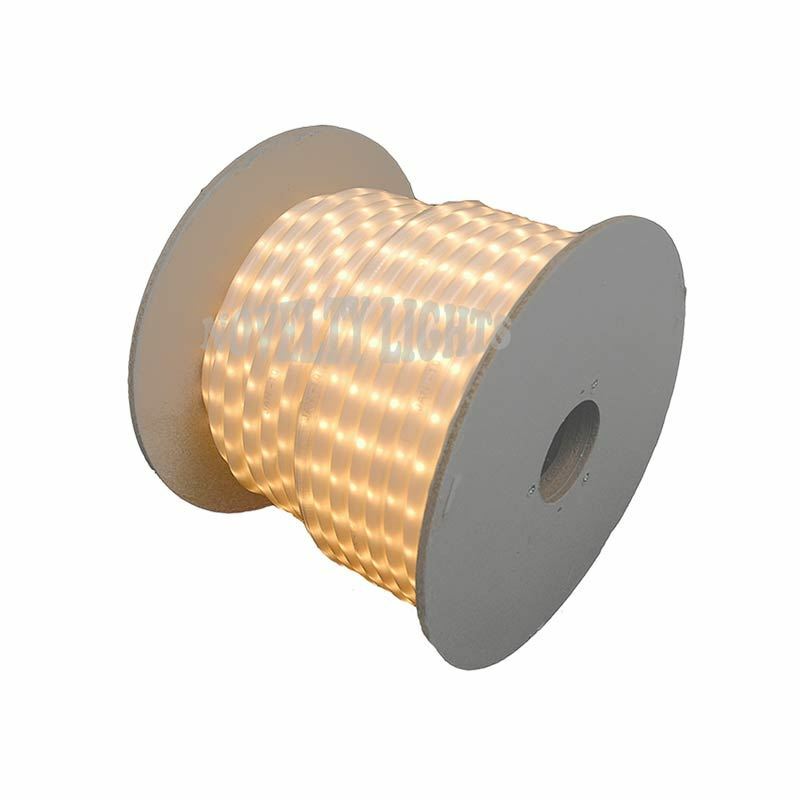 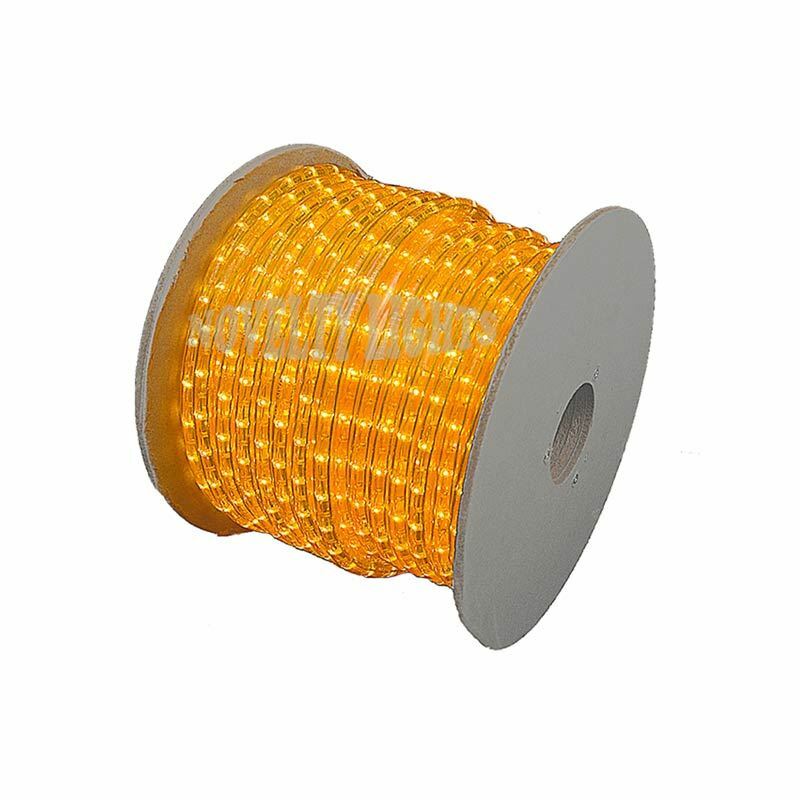 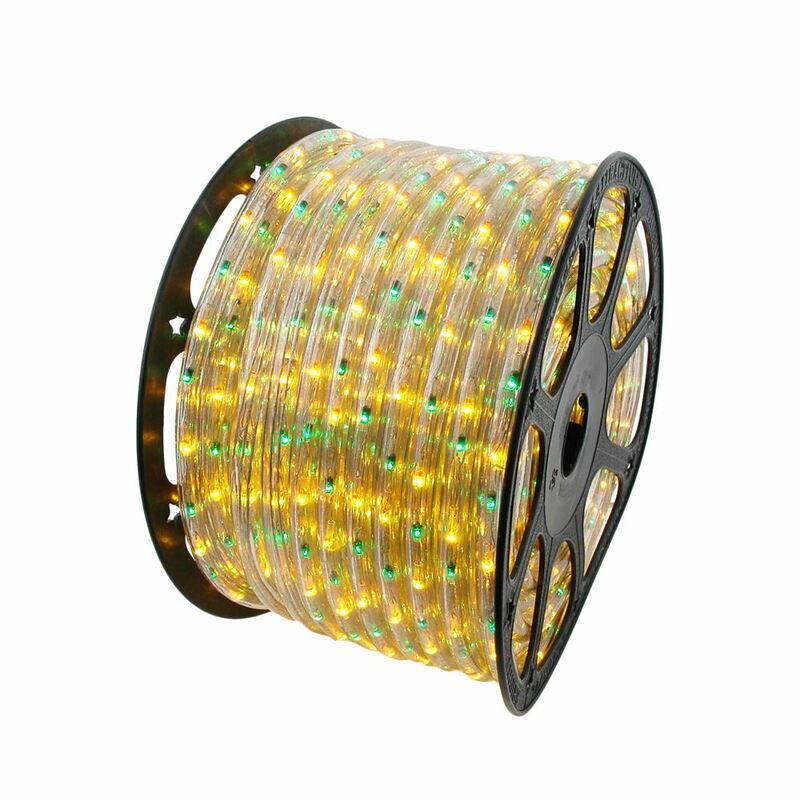 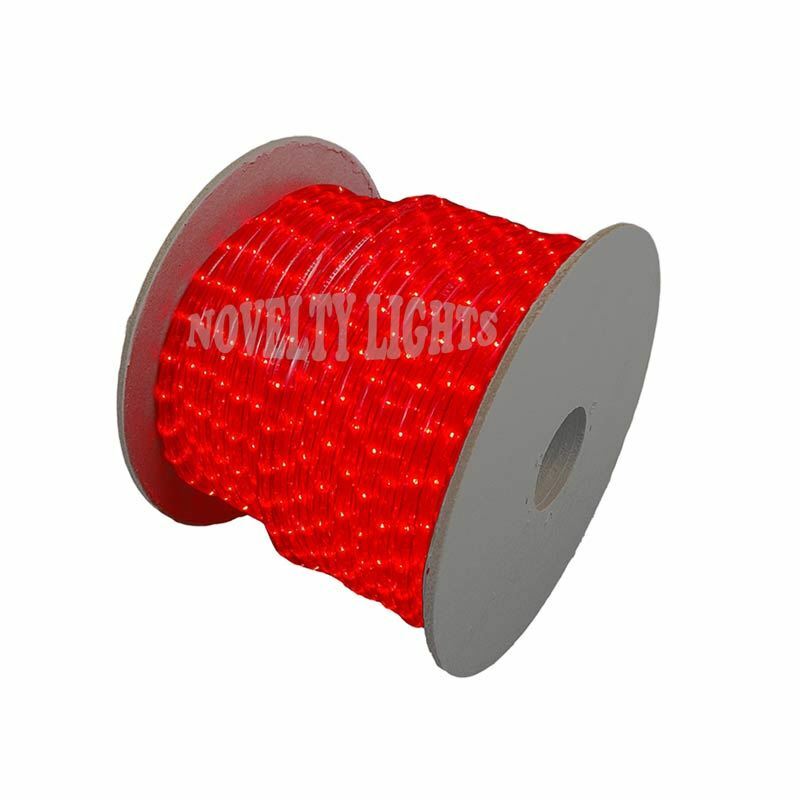 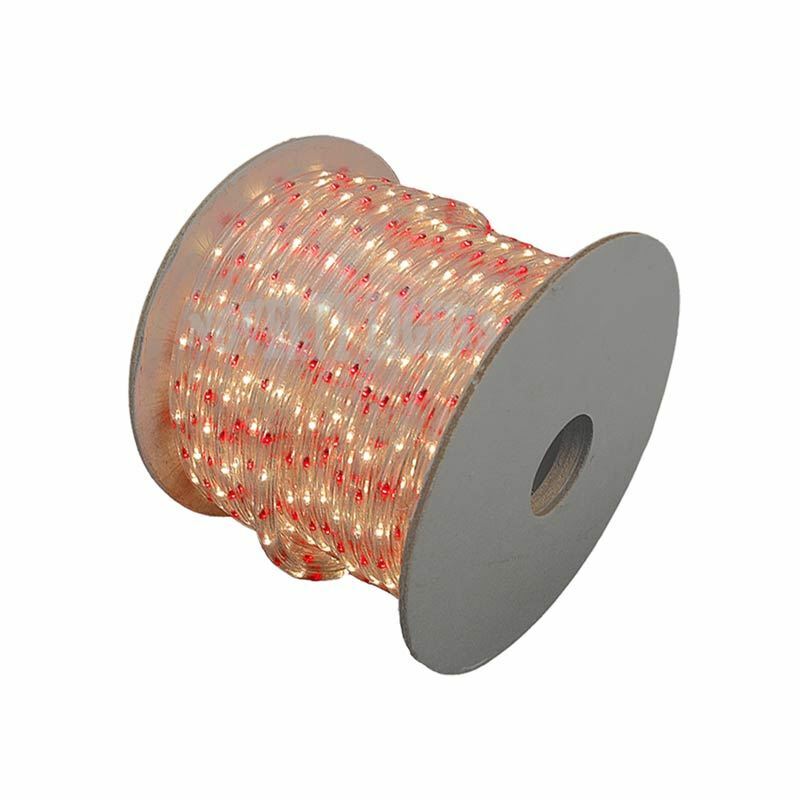 Buying wholesale bulk 150' spools of our most popular 3-wire 120V chasing rope lighting with 25,000-hour bulb life will help you accomplish the project you have in mind this year while saving money, too. 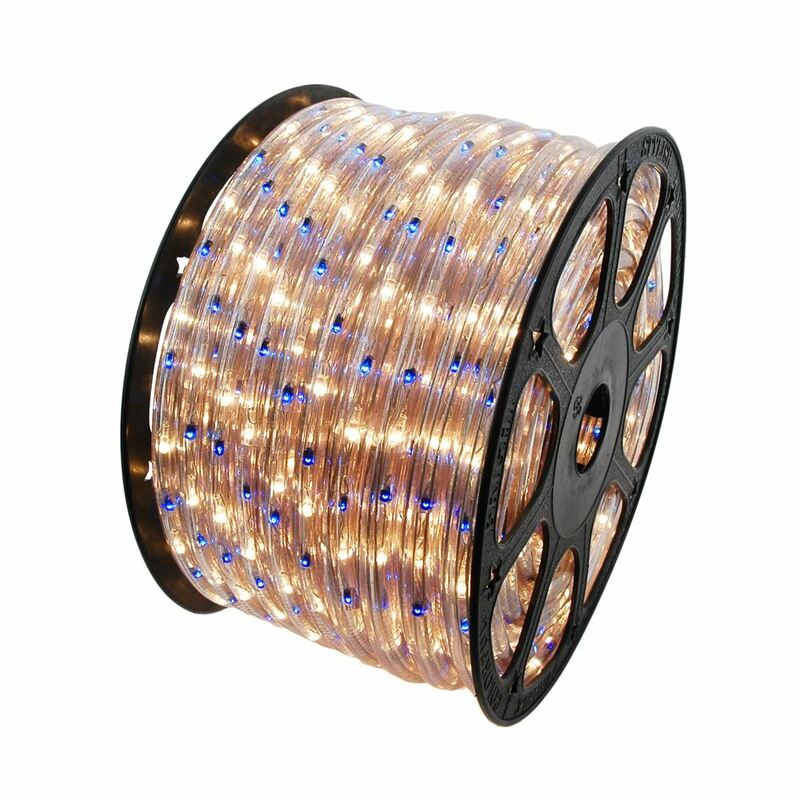 Each reel includes 4 power connectors, 4 end caps, 1 "Y" splitter, 1 6' rope-to-rope extension, 1 6' rope-to-controller extension, and 3 splice connectors. 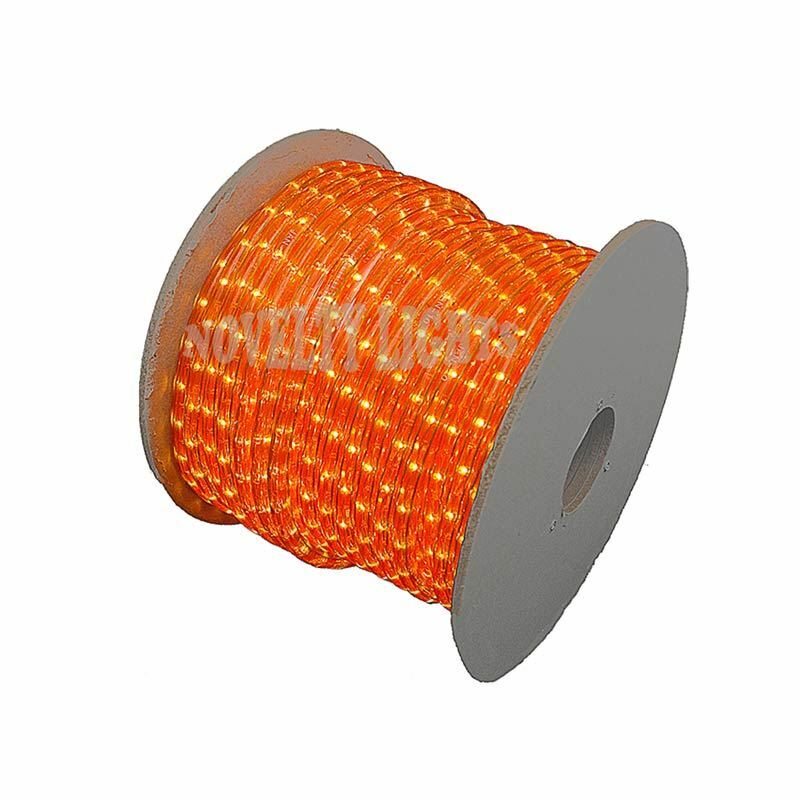 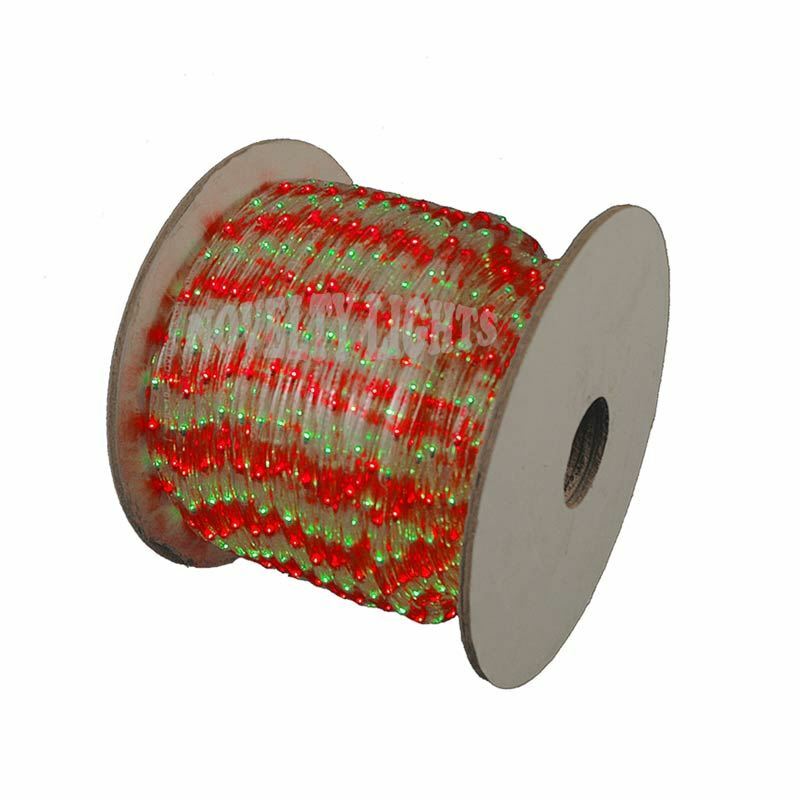 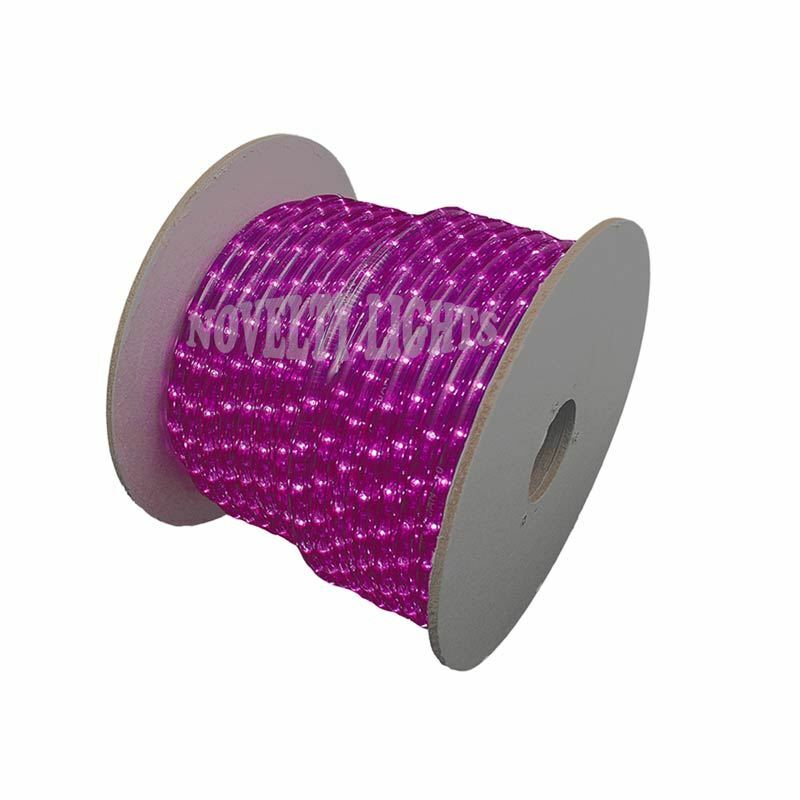 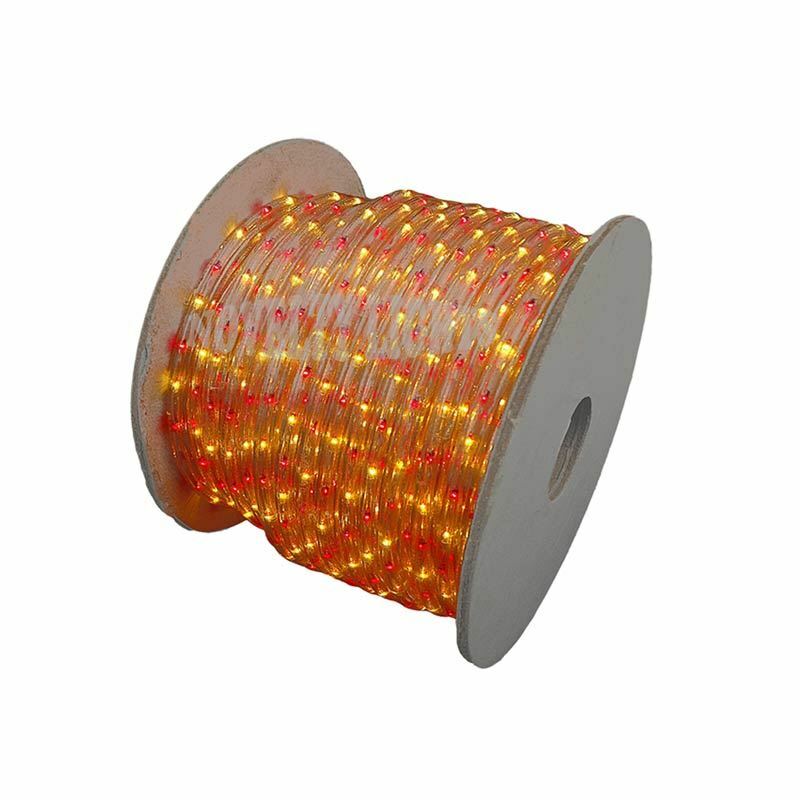 Chasing rope light can be cut every 36" and is available in a fun variety of single and multicolor strands. 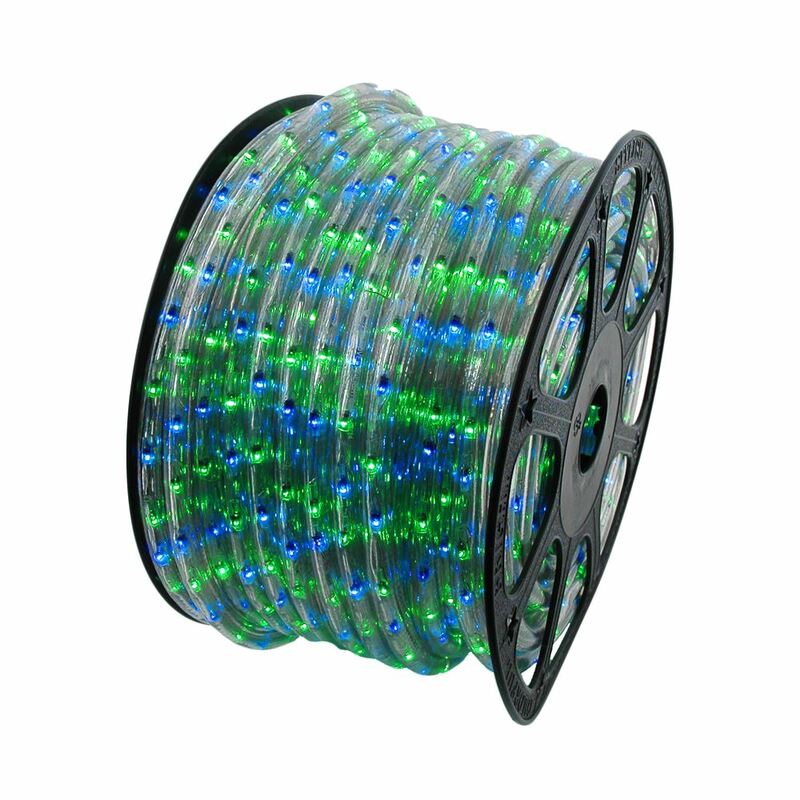 Let our experts assist you in organizing and purchasing all the reels and accessories you'll need for quick and easy installation. 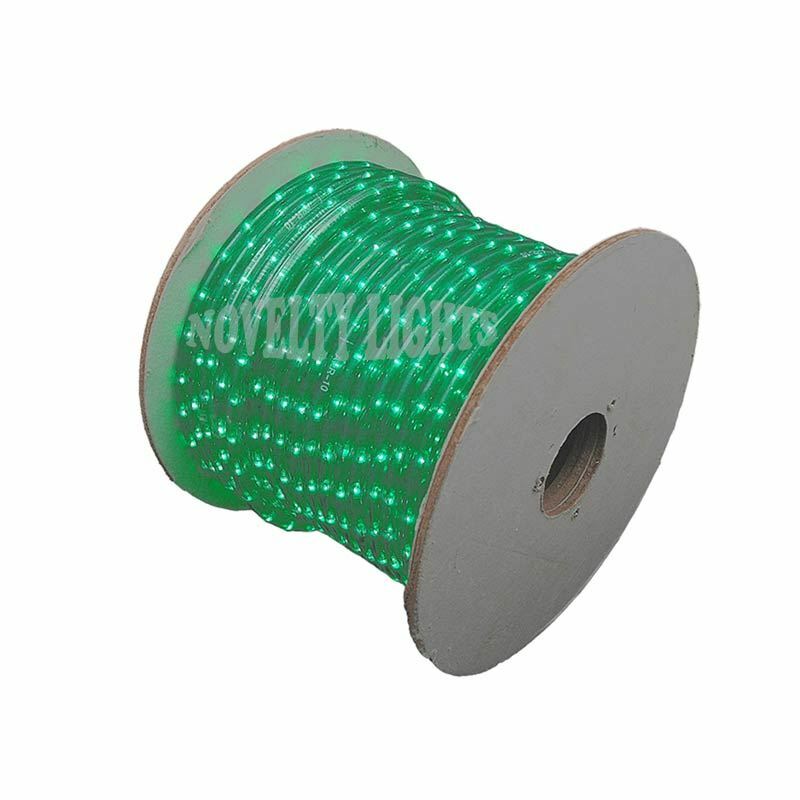 PLEASE NOTE: In order to get your rope light to chase, you must purchase one of our chasing rope light controllers. 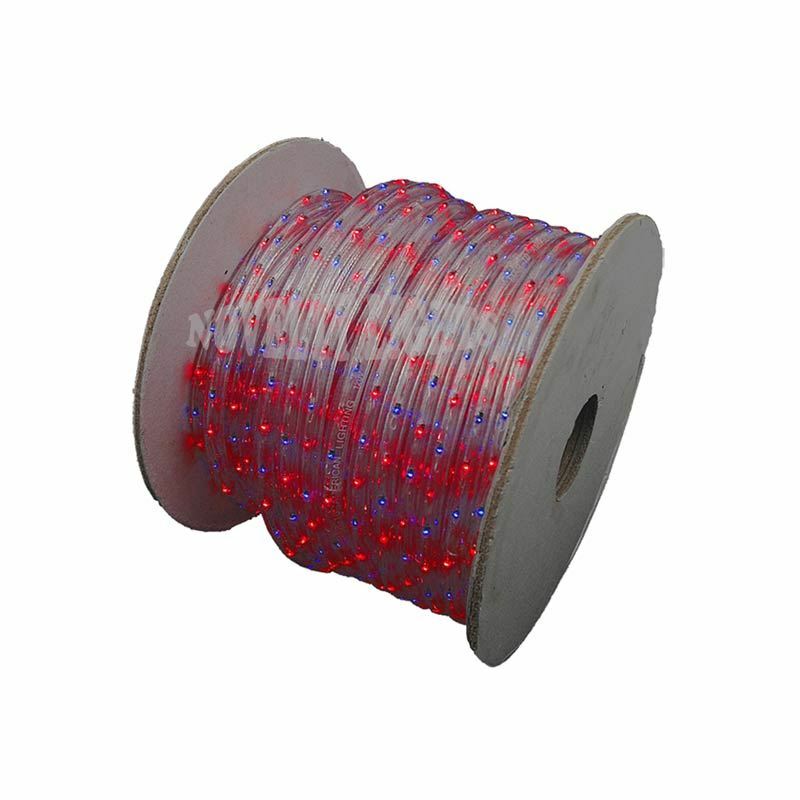 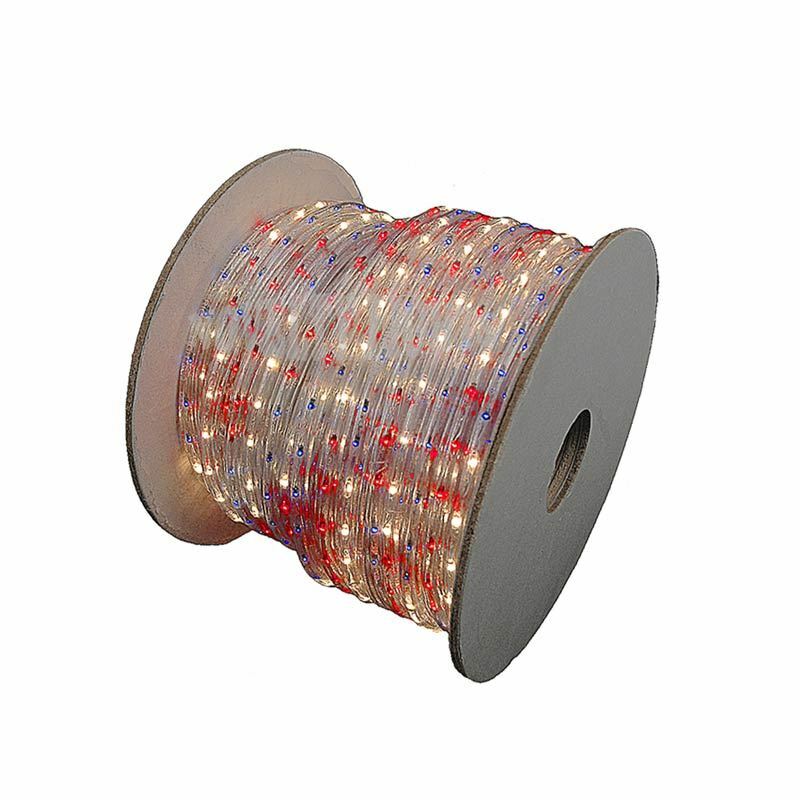 Red White Blue 150 Ft Chasing Rope Light Spools, 3 Wire 120v 1/2"
Amber 150 Ft Chasing Rope Light Spools, 3 Wire 120v 1/2"
Frosted White 150 Ft Chasing Rope Light Spools, 3 Wire 120v 1/2"
Clear 150 Ft Chasing Rope Light Spools, 3 Wire 120v 1/2"
Red 150 Ft Chasing Rope Light Spools, 3 Wire 120v 1/2"
Pink 150 Ft Chasing Rope Light Spools, 3 Wire 120v 1/2"
Red/Green 150 Ft Chasing Rope Light Spools, 3 Wire 120v 1/2"
Red/Blue 150 Ft Chasing Rope Light Spools, 3 Wire 120v 1/2"
Red/Clear 150 Ft Chasing Rope Light Spools, 3 Wire 120v 1/2"
Blue/Clear 150 Ft Chasing Rope Light Spools, 3 Wire 120v 1/2"
Blue/Green 150 Ft Chasing Rope Light Spools, 3 Wire 120v 1/2"
Yellow/Green 150 Ft Chasing Rope Light Spools, 3 Wire 120v 1/2"
Yellow 150 Ft Chasing Rope Light Spools, 3 Wire 120v 1/2"